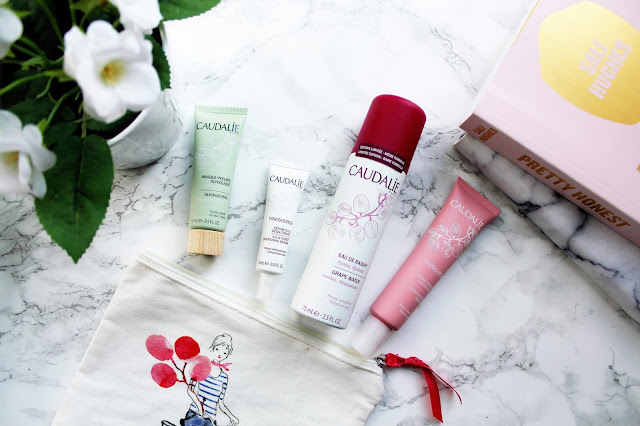 I'll have to admit, I have only really tried Caudalie products in the past 6 months thanks to my beauty box subscriptions. 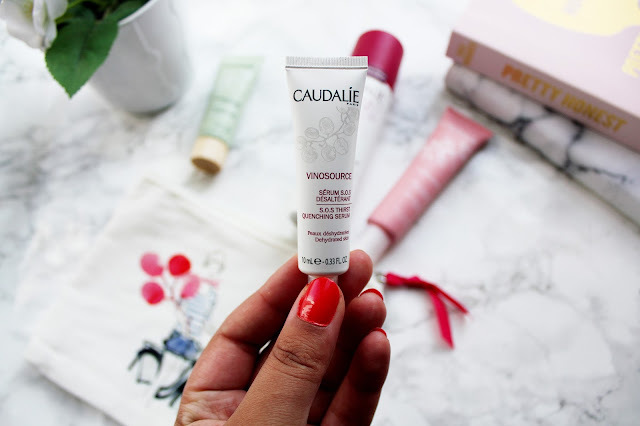 I have become fixated on skincare this past year and I really believe it's worth investing a few extra pennies for when you discover that perfect skincare product. 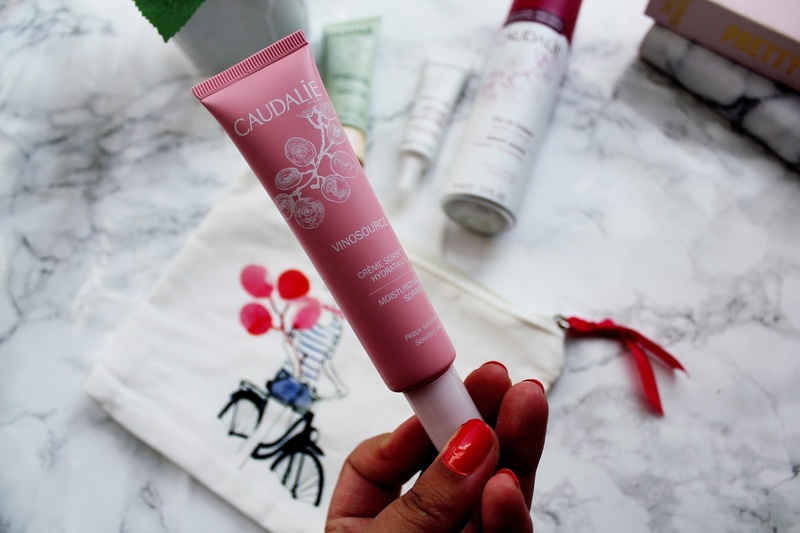 I am so grateful that with running my blog I get to try out some great products and for the past week I have been only using these four Caudalie products and I'm seriously impressed. 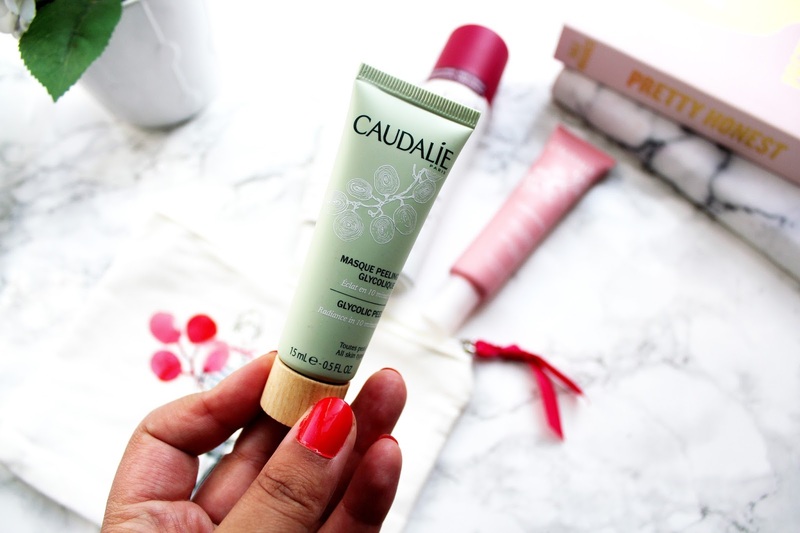 Caudalie Vinosource Moisturising Sorbet - £23 This I featured in a recent review of this months Birchbox and I am so happy that I have a mini and a full size version as the mini will be perfect for my summer holiday to Greece in a couple of weeks time. I have been using this constantly since I received my Birchbox and I am so impressed with this product. I use this morning and evening instead of moisturiser. Firstly what attracts me to this moisturising sorbet is the smell, it's so much nicer using a product when it smells absolutely divine. This leaves my skin feeling so soothed and hydrated and what's great about this product is it's great for every skin type. Sometimes in the morning I use this as a primer too and it's worked as a really good base for my make-up. 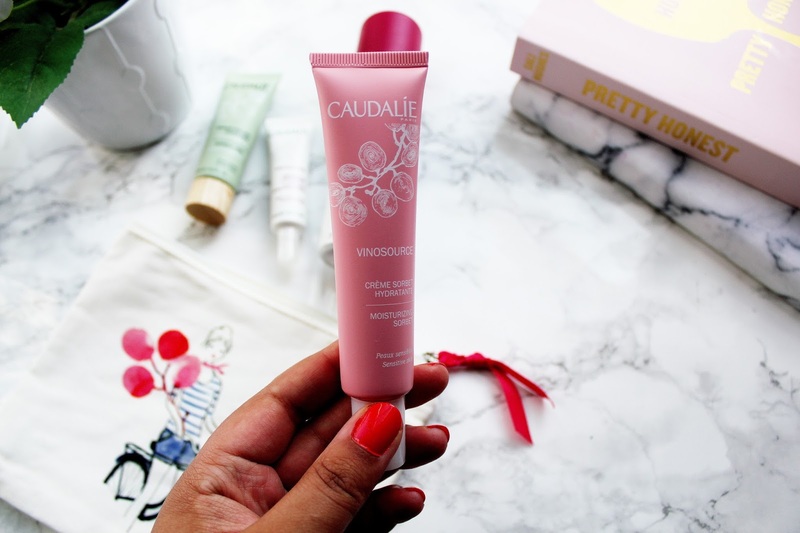 Caudalie Vinosource S.O.S Thirst Quenching Serum - £29 This product is only a mini version but sometimes that's the size you need. I have been using this for when my skin feels a little dry and dehydrated and it needs that extra moisturising boost. 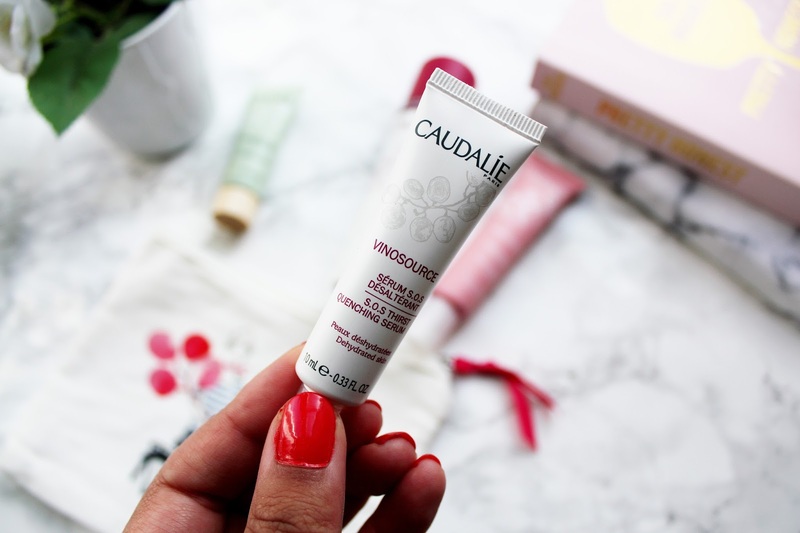 You can use this morning and evening and I use this before I use the moisturising sorbet. This is quite a thick serum which I like as it sinks right into your skin. This has become an ideal addition to my everyday skincare routine and an essential for when my skin needs some extra TLC. 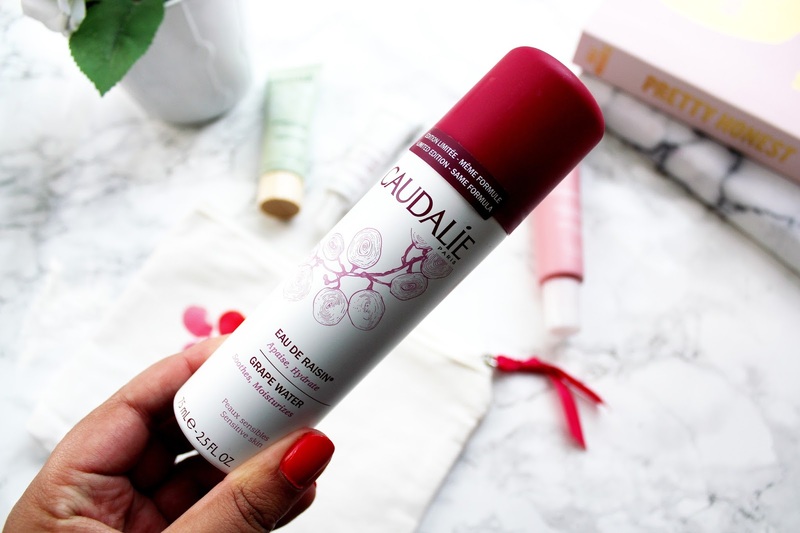 Caudalie Organic Grape Water - £6 This grape water is limited edition and an absolute steal at only £6. If you're looking for a product that leaves your skin feeling refreshed, revitalised and smelling lovely at the same time this is the product for you. I love using this as an extra boost before I go to sleep at night and I wake up with soothed, hydrated and moisturised skin. What's great about this is it can be used any time of the day for when you feel your skin needs a refresh. I'll be taking this on holiday for when I'm wearing minimal make-up and want my skin to remain moisturised and fresh. Caudalie Glycolic Peel Facial Mask - £22 I only have a travel sized version of this (my version is 15ml) but the full version isn't too expensive at £22 for 75ml. If you're a fan of the Pixi Glow Tonic you'll need to add this glycolic peel face mask to your wish list. I've used this twice and I'm really impressed with the results. The only way to describe the way this mask works on my skin is like using the pixi glow tonic as a mask. What's so good about this mask is it's great for all skin types. I like using this when my skin feels a little bit more dry or when I have a break out. I've read so many reviews about this before using this and it lives up to the hype that surrounds the product. I'll definitely be purchasing the full size version when this one runs out. 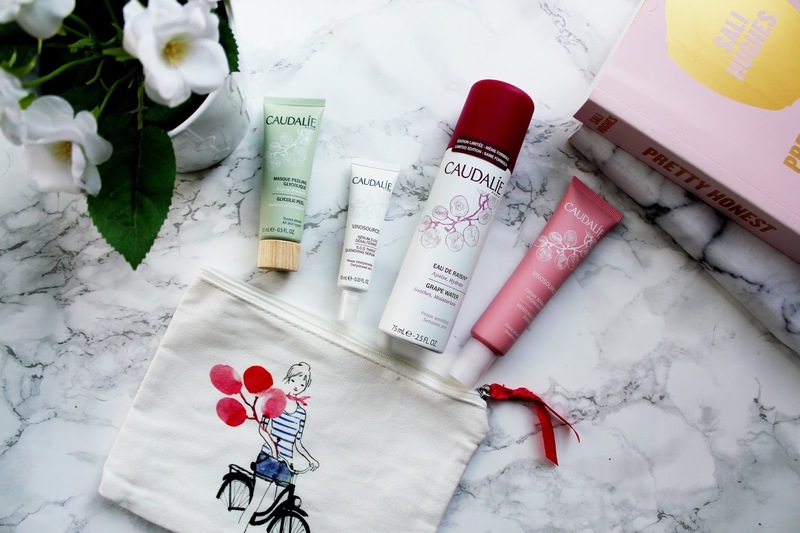 Caudalie have an offer online where you'll receive a free vinosource gift including the make-up bag (as pictured in this post) and the same size vinosource serum I have and a travel sized version of the sorbet with every £35 spend. It's an absolute steal if you ask me! I haven't tried Caudalie products but I really want to try them out!